Get Easterseals news, resources and more in your inbox. For 100 years, Easterseals has served as an indispensable resource for individuals with disabilities, veterans, seniors and their families. Together, our 71 affiliates in communities nationwide serve 1.5M people through high-quality programs including autism services, early intervention, workforce development, adult day care and more. In schools, workplaces and communities, we’re fostering environments where everyone is included and valued — with a real and positive impact on us all. Join us in ensuring that everyone – regardless of age or ability – is 100% included and 100% empowered. 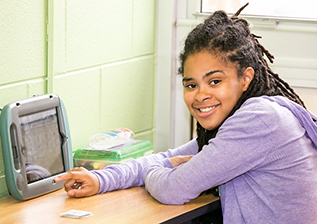 Easterseals Thrive is an online community for young women with disabilities. Connect and learn with others, participate in an upcoming Twitter chat and join our Thrive book club! It's never too early to start thinking about registering for our accessible, barrier-free camps. Learn more about all the fun camp has to offer, and find an Easterseals location near you. 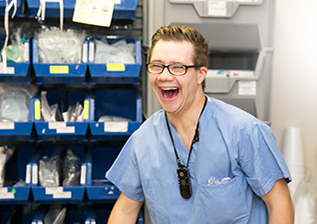 Employment and training services for people with disabilities, seniors and veterans break down barriers and clear pathways to steady and meaningful careers. Discover our employment services around the country. 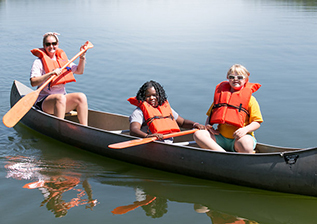 Easterseals connects children and adults with disabilities, including veterans and seniors, to the resources they need to live, learn, work and play in their communities.